The first problem we are facing with some coupon offer booking sites is that for first time customers, it’s hard to get to know about the nailist’s skill or what the nail salon can offer beforehand. The second problem is that on those coupon offer booking sites, the customers only pay most attention to the price of the service rather than choosing from their preferences, therefore the nailists also don’t have many opportunities to reveal their work to the world. Lastly, almost 94% of nailists cannot express their full talent due to lack of offered working options. 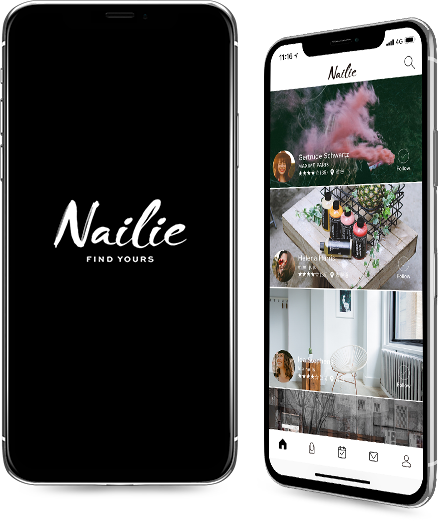 Nailie is an application that allows nailists to post their work to public, at the same time they can organize their business from promotion campaign to managing schedule/ reservation/ payment easily. For the customers, they can select favorite styles based on their preferences, as well as booking with the nailist they like based on their favorite tastes.